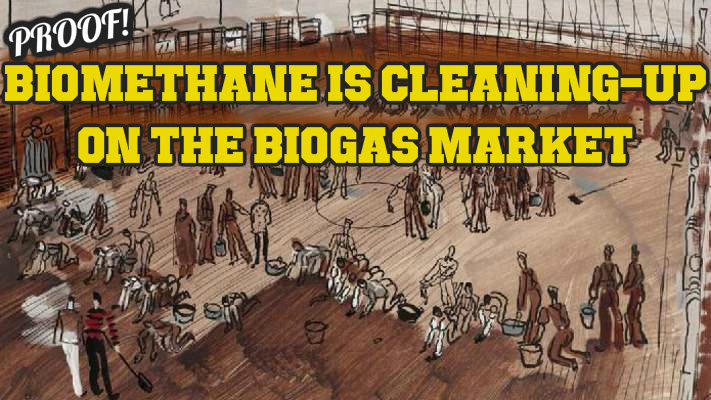 Biomethane is cleaning-up on the Biogas Market. The business sector is growing rapidly with support and both political and monetary investment going forward in many countries. This is demonstrating that building AD plants with additional equipment to produce biomethane, which is nothing more than thoroughly cleaned-up biogas, is thought to be worth the additional investment by many people. Biogas has many uses, but the demand for biomethane which is a fuel equivalent to Natural Gas is simply insatiable! Just consider the unimaginable amount of energy needed to run transport vehicles and the hype which is peddled daily by governments, to pollution hit city dwellers to convince us all that electric cars are the cure and are coming in just a year or two. Who truly believes that any more? Now let's give you the PROOF that all manner of people, politicians and investors are now promoting biomethane and biogas plant projects which will produce biogas which will be upgraded to biomethane. On the final day of California’s 2018 legislative session, a bill sponsored by the Coalition for Renewable Natural Gas (RNG Coalition) that would pave the way for a state renewable natural gas (RNG) procurement program was approved, passing 29-10 in its reconciliation in the Senate. As approved, S.B.1440 authorizes the California Public Utilities Commission (CPUC), in consultation with the California Air Resources Board, to adopt a biomethane (RNG) procurement program that would benefit ratepayers, proves to be cost-effective, and advances the state’s environmental and energy policies, the coalition explains. The legislation was introduced this year by State Sen. Ben Hueso. More refuse companies are investing in compressed natural gas (CNG) sourced from cleaned biomethane (renewable natural gas), storing it on board in cylinders. For some time, storing this high-pressure fuel on trucks came with challenges for fleets, and though the industry has since taken down significant hurdles, there are new innovations in the pipeline for greater efficiency. Centerpoint Energy filed a five-year pilot program proposal with Minnesota`s Public Utilities Commission (PUC) on Thursday, which will give customers the option to purchase renewable natural gas, or biomethane, as an alternative to traditional gas. The pilot would be the first of its kind to offer distribution of renewable gas directly to customers, although other utilities use it in a more "decentralized sense," Margaret Cherne-Hendrick, senior policy associate at Fresh Energy said in an interview with Utility Dive. If approved, customers will be able to choose renewable gas for approximately $4 more per therm, although the price won`t be set until after the PUC approves the pilot, according to Centerpoint`s website. The state`s PUC is expected to make a final decision on the program in January of 2019. Many in the industry will likely favor biomethane because the infrastructural transition is easier and cheaper for utilities she says. However, customers should be aware of what they`re paying for. Global biogas market size is anticipated to witness substantial growth owing to government led stringent regulations pivoted towards greenhouse emissions. In 2016, Singapore government had led directive pertaining to carbon emission reduction by 36% by 2030 below 2005 levels. 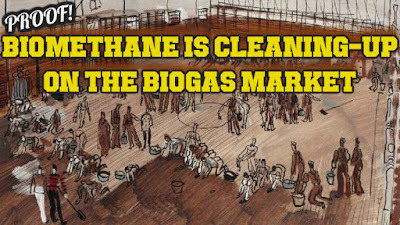 Rising energy security concern due to depleting conventional resources will positively steer the global biogas market. In 2017, The Asian Development Bank has funded waste to energy (WTE) projects in agreement with Dynagreen environmental protection group across China. Renewable resource integration with demand for cost effective clean source of energy will positively drive the global biogas market share by 2024. Government initiatives pertaining to waste management will propel the global industry. In 2017, Australian government in support to waste to energy technologies have launched a USD 2 million program in Victoria.